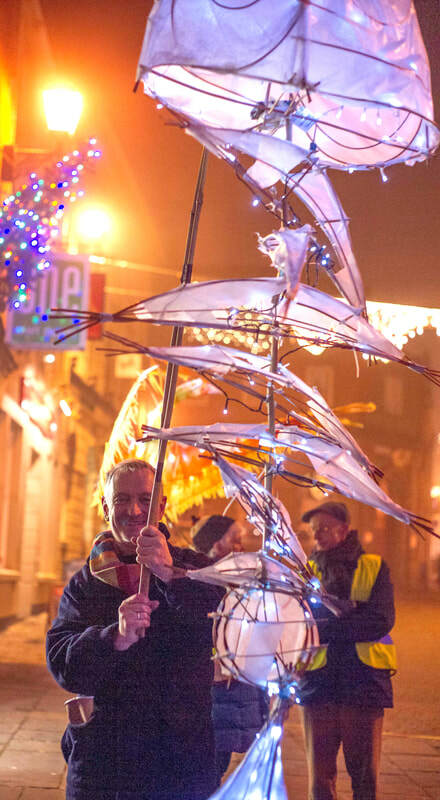 Would you like to help children and adults of all ages make their own lanterns so they can join in the parade and make it bigger and better than ever? Are you part of a community group, or an organisation who would love to make their own lanterns where they meet, but need some help to get going? Then come to our free training workshop where we can take you through the simple, but essential skills needed to make wonderful willow and tissue paper lanterns. You can take these skills back to your group to create your own lanterns for the parade, or why not volunteer to help families and individuals make their own lanterns at one of the six, weekend workshops in December this year?